Take one or more grapes and almost cut them in half to leave a piece of skin between the two halves of the e grape. Dry this skin out a little using a piece of paper towel, and stretch this joint out by a couple of mm. Place 2-3 grapes inside the microwave. Turn it on at full power for at the most 10 seconds. The grapes will be very hot when you turn off the microwave - be careful. If you leave the microwave on for too long and a grape remains stationary there is a small chance of cosmetically damaging your microwave. If any large glowing objects are seen, turn the microwave off immediately. You may see some bright yellow sparking between the two halves of the grape. The microwaves cause current to move back and forth between the two halves of the grape This causes the piece of skin joining them to heat up and dry out. A spark is created when the electric field rips electrons off atoms these can then move freely and carry electric current. A gas with free electrons and positive ions is also known as a plasma. This plasma conducts electricity and can absorb microwaves. 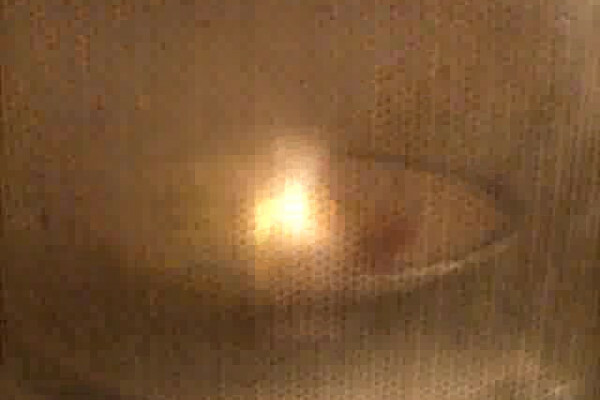 Sometimes the plasma gets big enough to absorb enough microwaves to keep growing, this is what can cause minor burns on the top of your microwave.